If your skin complaints include scars, pigment changes, or stretch marks, the Icon™ system is a one-stop treatment solution that can help. The specialists at the Profound MedSpa in Trooper, Pennsylvania, offer a variety of skin treatments that incorporate the Icon’s superior technology to effectively address your skin problems. Schedule an evaluation today by phone or online to discover what Icon can do for your skin concerns. What makes the Icon™ system so useful? The Icon Aesthetic System is an advanced platform technology that offers multiple devices in one machine. That means your Profound MedSpa provider can treat a wide variety of skin concerns simply by changing out the machine’s attachments. It also has the unique ability to provide ThreeForMe™ laser treatment, which addresses wrinkles, sun damage, and facial veins all in one session. In addition to its versatility, Icon offers clinically proven, effective technology that’s designed with patient care and comfort in mind. The Advanced Contact Cooling™ system maintains cool temperatures for enhanced skin comfort and protection. Various lenses that focus the laser light also allow your provider to customize your treatment. What can you treat with the Icon system? The time required for Icon treatments depends on why you’re undergoing treatment. For instance, laser skin renewal that decreases the appearance of brown spots, sun damage, and wrinkles takes about 30 minutes. If you’re undergoing laser hair removal from just your upper lip, the actual treatment lasts less than five minutes but can take 20 minutes or longer for larger areas like your back. Some patients report a mild snapping sensation at various times during the treatment, but discomfort is generally minimal and fades quickly. Your skin may be more sensitive after some treatments, but that varies according to the area being treated and the issue under treatment. How will I know which therapies to consider? When you see your provider for a pre-treatment consultation and evaluation, you can expect a thorough skin exam and detailed discussion regarding your skin concerns. 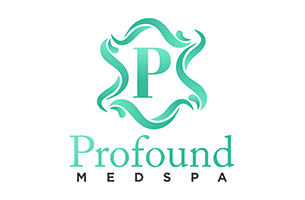 Because the providers at the Profound MedSpa are dedicated to working with you and for you, they make every effort to recommend treatments that best suit your skin care needs. To find out more about the Icon system, make your appointment today at the Profound MedSpa by phone or via their online scheduling system.